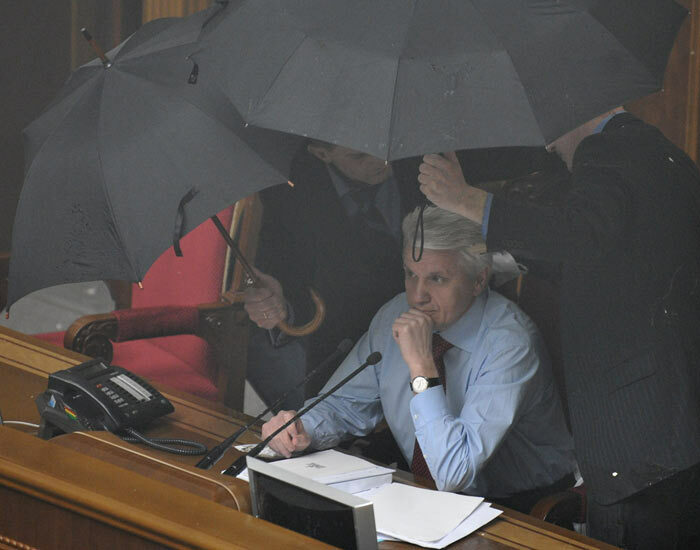 4.27.2010. 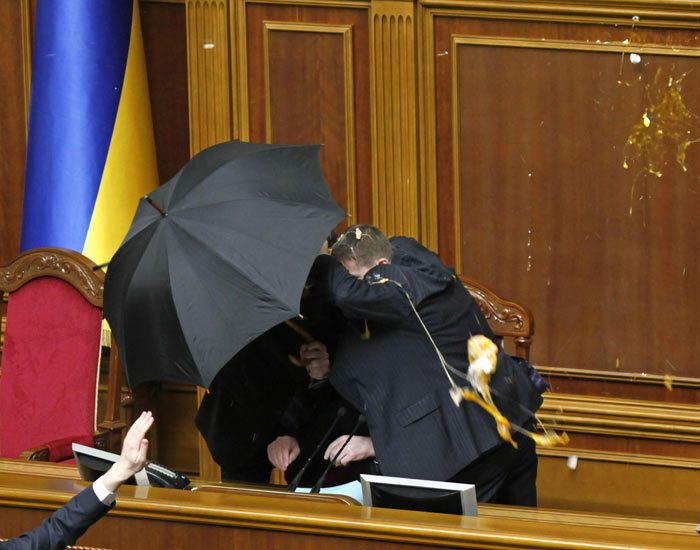 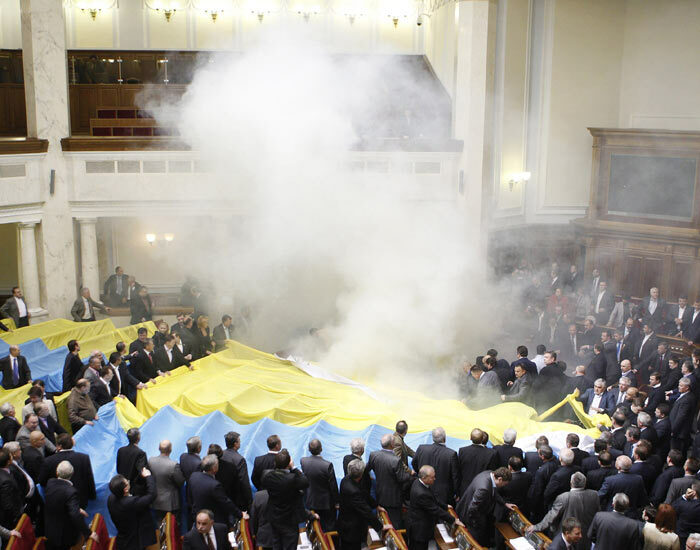 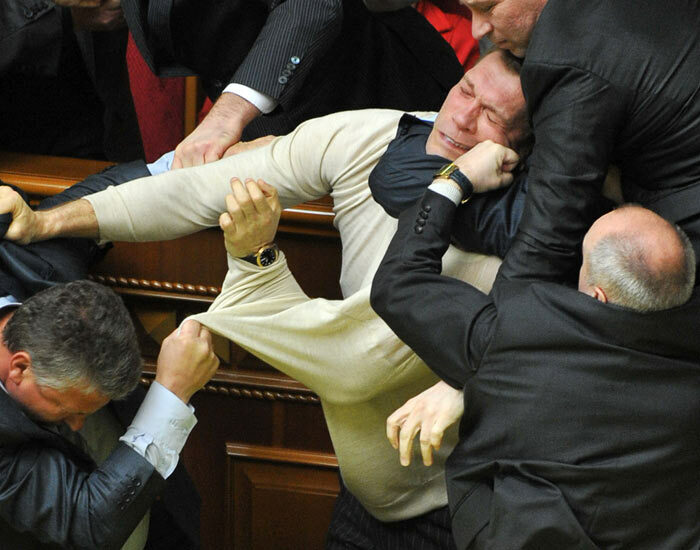 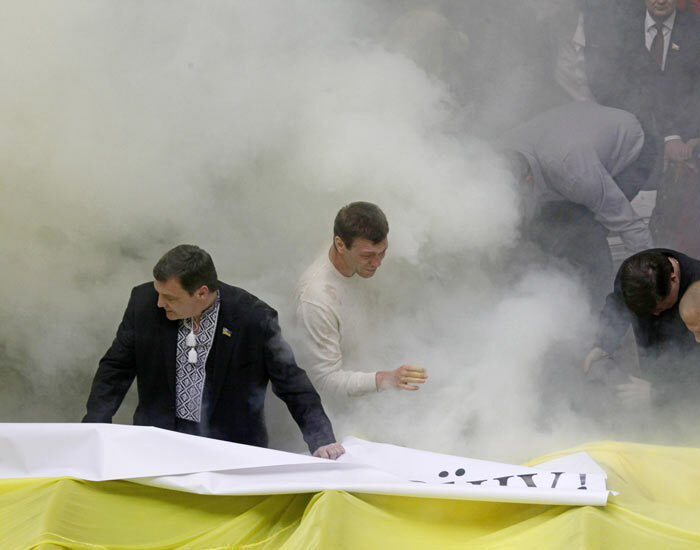 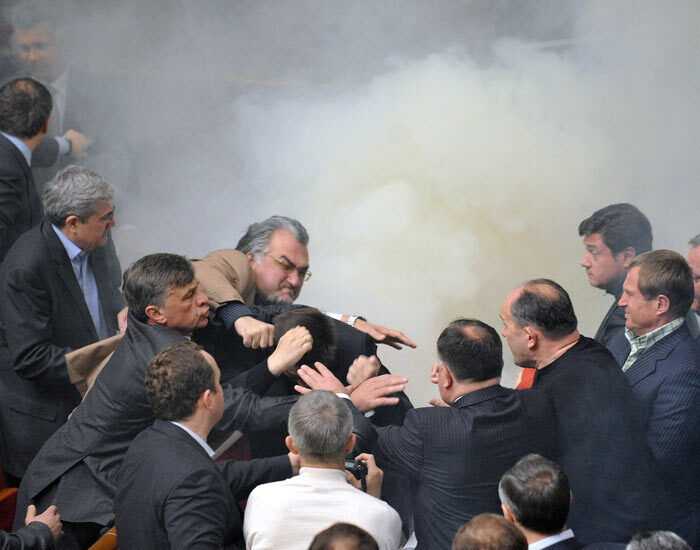 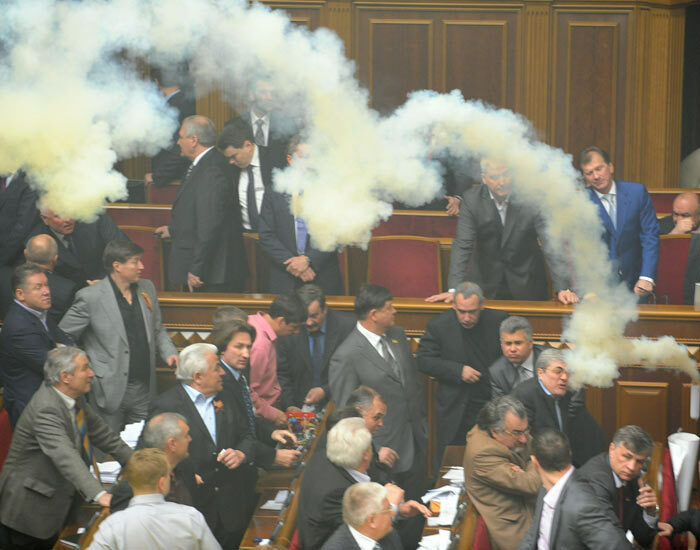 Opposition politicians hurled eggs and smoke bombs inside Ukraine's parliament as the chamber approved an agreement allowing the Russian Navy to extend its stay in a Ukrainian port until 2042. 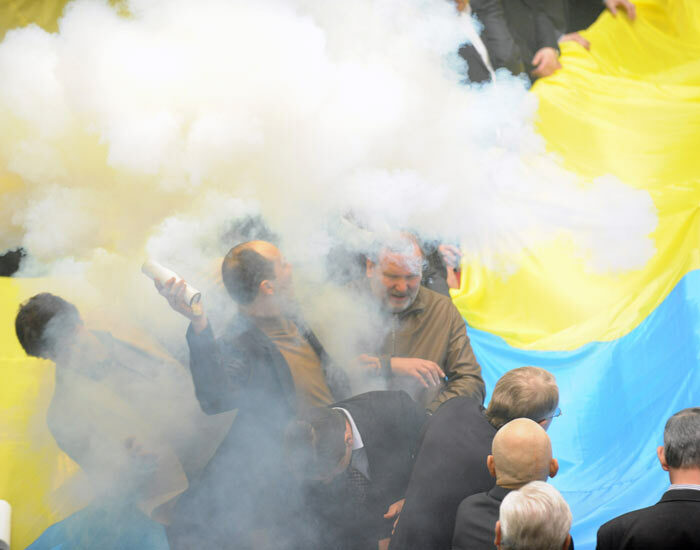 Many Ukrainian nationalists want the Russian navy kicked out of the country, but such a move would have seriously damaged relations between Ukraine and their large neighbor country. 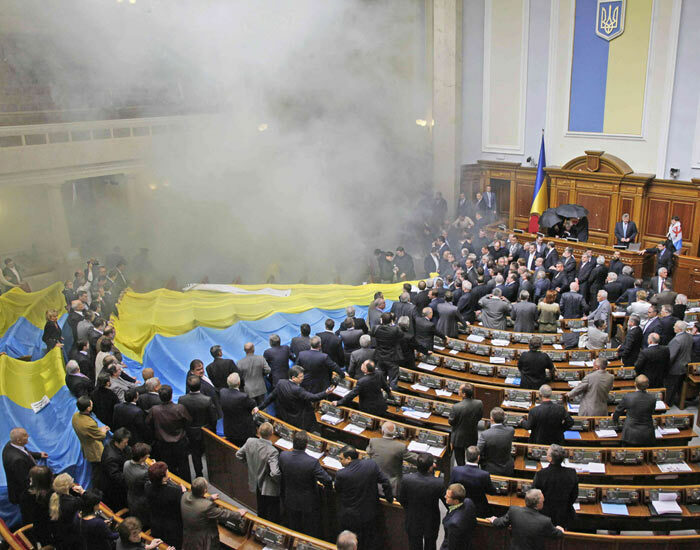 Instead, a majority in the parliament voted to keep stable relations with Russia and approve an extended lease. 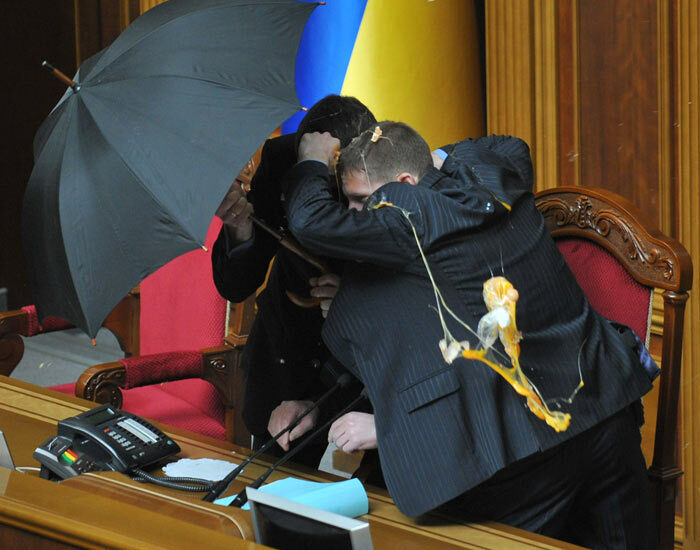 This caused the opposition party to start throwing eggs at the Speaker of the Parliament, toss smoke bombs, and engage in all-out fist fights with the majority.